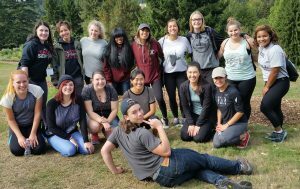 City Quest, the successful September city-wide community engagement by Seattle Pacific University freshman got in a hard days work at Seattle Parks MCGO. The always demanding North Orchard was a main beneficiary of their kind efforts. 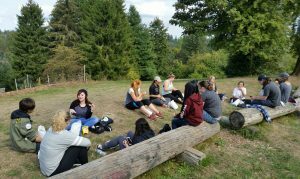 Hilly and difficult access did not discourage these new students. The weather was also very cooperative as water breaks and good conversation encouraged team work. 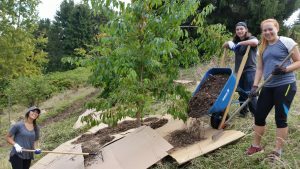 The edible hedge, quince and apple orchard also benefited from this energetic bunch. The dynamics of a single male in the group was refreshing and not at all a deficiency as the plan for the day was accomplished and successful. 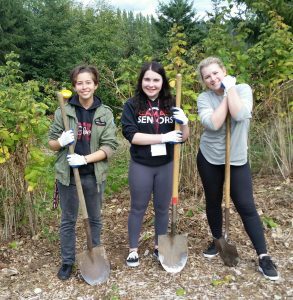 Students also were eager to complete the tasks and had good input on the process, history and organizational goals of their effort. 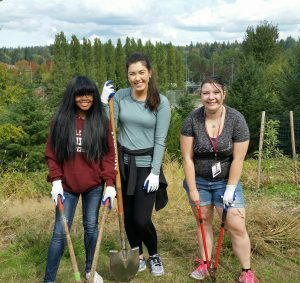 The yearly campaign by SPU benefits MCGO as it gives the Seattle Parks site an edge up on the coming Spring 2017.